Hammer & Steel sells and rents a full line of excavator mounted drilling attachments from ABI, Interoc and Comacchio. These drills are ideal for applications requiring extra reach - such as reaching over a wall that does not have lower access - or drilling in tight areas. The ABI excavator mounted auger can be mounted to all common hydraulic excavators as well as mini excavators. 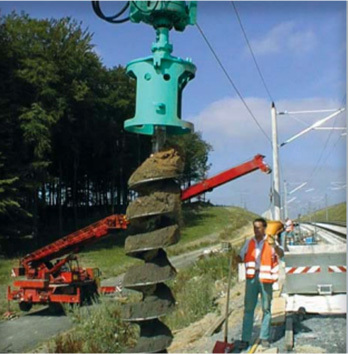 The auger drive can be applied for CFA piles, ground release drilling, and injection and soil improvement for foundations. 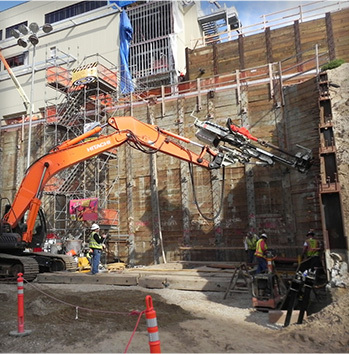 The Interoc Add-On Drilling System BAS 2200 excavator attachment is a perfect high-performance solution for a wide variety of drilling applications. 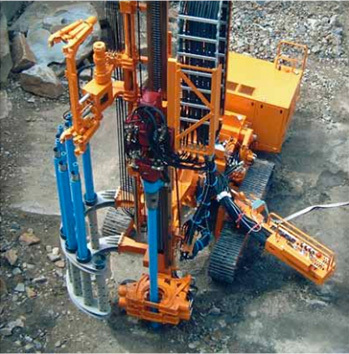 The Comacchio excavator line is designed to satisfy the needs of operators working in restricted or confined areas, where certain soil conditions, bearing capacity requirements and/or limited space make it difficult to use a crawler mounted drilling rig.